A book review by ‘Deep-ends’. Please do share if you’ve read the book or intend to. 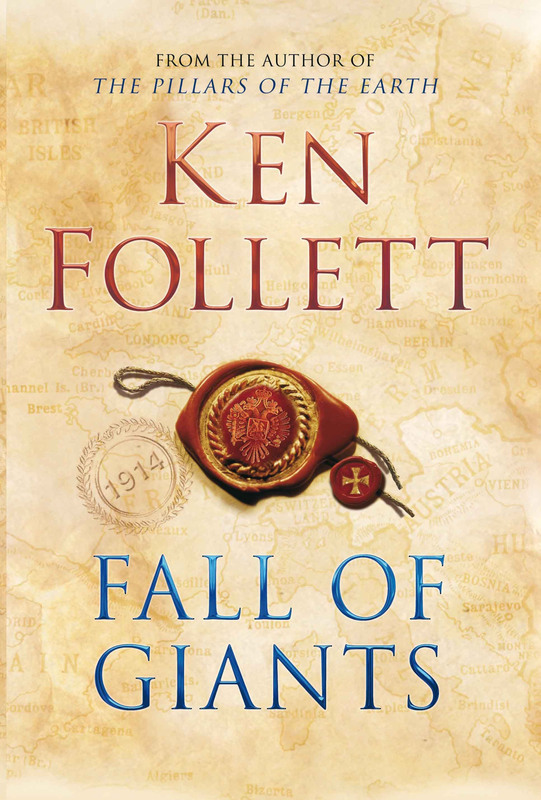 This week is dedicated to another Ken Follett classic, Fall of Giants. This is book one of the Century trilogy that starts in pre-war Europe, in 1911. In a small Welsh town of Aberowen, a 13 year old boy, Billy Williams, enters the dark pits of the world of coal mining. His sister, Ethel, is a housekeeper for the aristocratic Fitzherberts and makes the mistake of falling in love with Earl Fitzherbert, who is already married to Princess Bea of Russia. The Earl’s sister, Lady Maud Fitzherbert, crosses into forbidden territory when she falls in love with a German diplomat. Two orphaned Russian brothers, Grigori and Lev Peshkov, dream of leaving Russia to emigrate to America but fate and the war affect their plans. And finally, the over-privileged American diplomat, Gus Dewar, who serves as an aide to Woodrow Wilson, plays his part in drawing America into the war. The reader is taken into a riveting story that weaves together the lives of the main characters with each other and with real historical characters. As the story unwinds, so does the war. The time period is well researched and serves as an informative history lesson on coal mining, trade unions, women’s rights, attitudes of the aristocracy, politics, revolution and of course, the events that led up to the First World War. I really like Ken Follett’s development of characters, and I noticed this in Pillars of the Earth also. He portrays their motivations in such a way that the reader develops an ambivalent understanding for even the most unsympathetic characters, such as Lev Peshkov or the Earl. None of the characters is perfect, and none are completely bad either. They all have their strengths and flaws that make them undeniably human and thus, relatable. This is another magnificent, epic novel of historical fiction that I thoroughly enjoyed. A hefty book at 1000 pages, it would be easier to download on your slim kindle or ipad. Book two of the Century trilogy is called Winter of the World…but I have not read it as yet. Enjoy!